The SXC is about the same size as the BMW X5. Correction: An earlier version of this story wrongly stated that the Peugeot SXC hybrid has a diesel engine, when it is actually powered by a gasoline unit. Peugeot will reveal a China designed crossover concept, the SXC (Shanghai Cross Concept) at next week's Shanghai auto show. 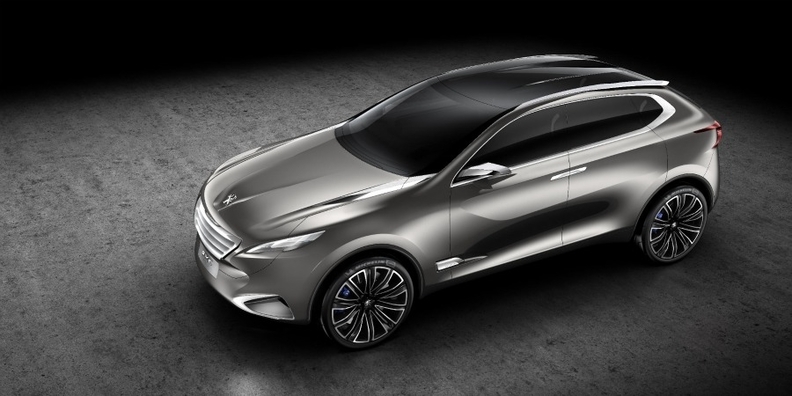 The four-wheel-drive hybrid concept was designed and built at Peugeot's studios in Shanghai. At nearly five meters (16.4 feet) long and 1.6 meters tall, the SXC is around the same size as BMW's X5 SUV. 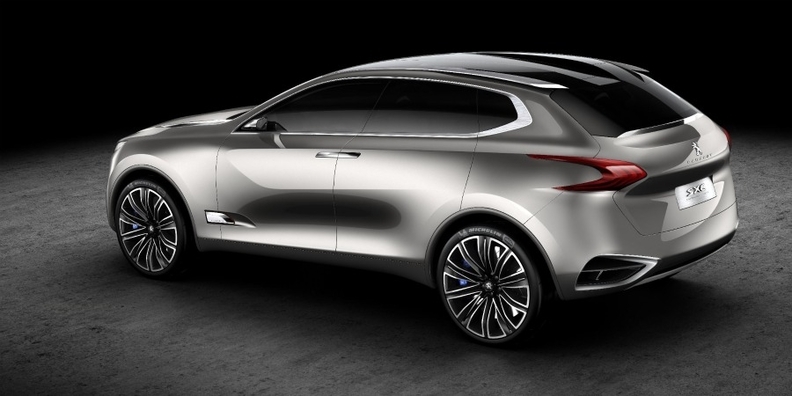 The concept could provide the basis of a replacement for Peugeot's current SUV-styled crossover, the 4007. The SXC is powered by PSA/Peugeot-Citroen SA's new HYbrid4 technology with a gasoline engine driving the front wheels and an electric motor driving the rear wheels. The drivetrain powers all the wheels when the engine and electric motor are operating at the same time. The car can also be driven solely on battery power at low speeds. The SXC has 22 inch wheels, rear-hinged doors, a pillarless design and sleek feline headlamps. The French automaker has set itself the goal of selling 2 million Peugeot and Citroen cars within the next 10 years in China. Peugeot alone is targeting sales of 200,000 vehicles in 2011.